Give your kids an adventure in your own back yard with this playground equipment! 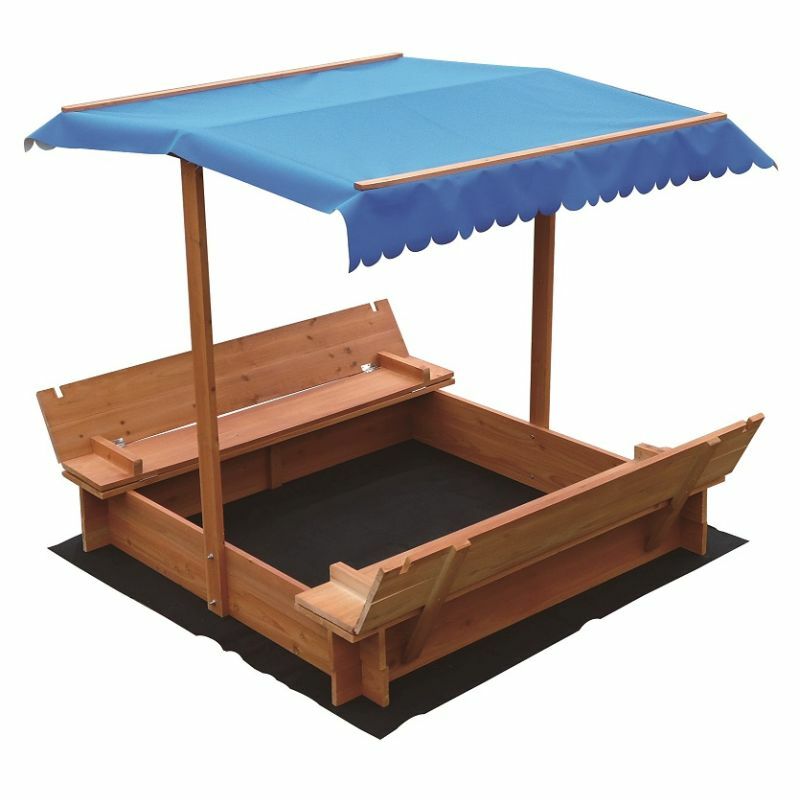 Environmentally sustainable timber construction, sandpit cover and canopy! Children love going to the beach and playing in the sand, but taking them to the beach every now and then is tough on the parents. Especially during breaks from school. The little ones are on holiday but you aren't. Bring the beach to your backyard with this cool toy. Our sandpit will delight your children for hours on end. No worries about exposing them to the harsh rays of the sun. 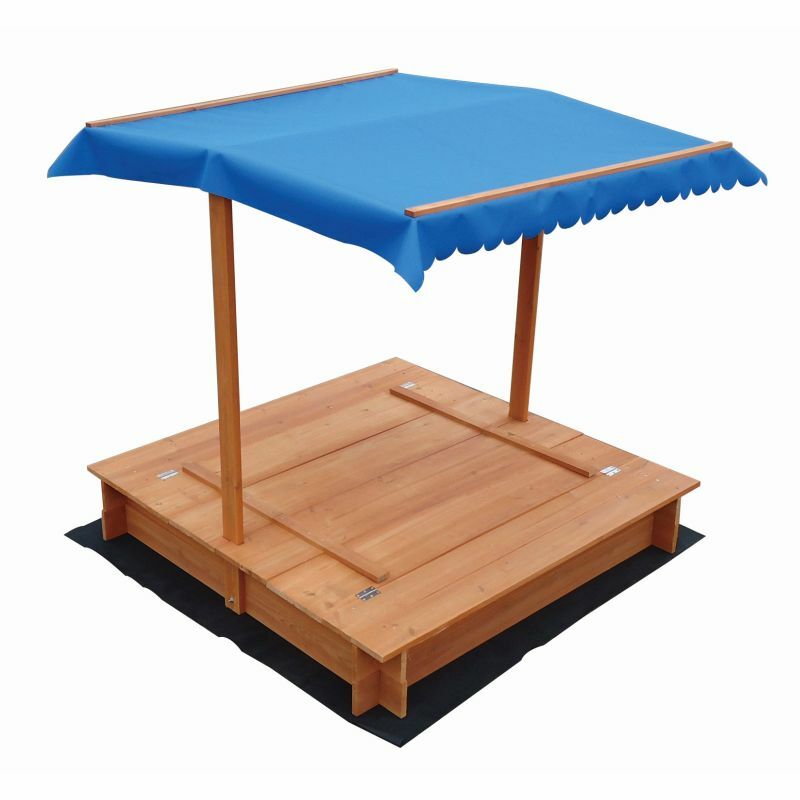 Our fabulous sandpit comes equipped with a crisp white and blue UV-protected canopy. Your kids will stay happy and cool while at play in this amazing outdoor toy. 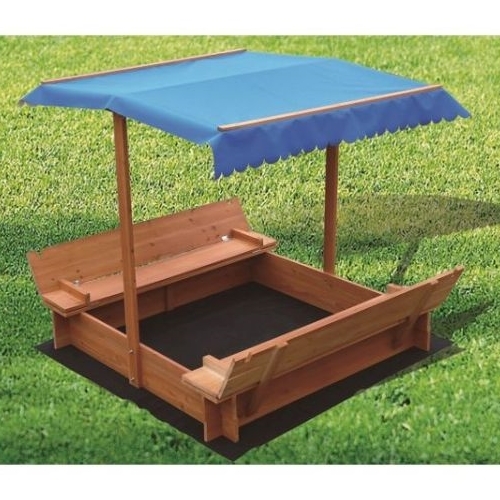 When not in use, the seats are foldable and cover the sandpit to keep out debris and animals. An internal ground sheet keeps the sand in place, permits water drainage and prevents grass and weeds from growing into the sand play area. **We are advocates of managed forests and of preserving our environment and make our sandpits exclusively from FSC Certified Timber.